The spinal column is made up of bones called vertebrae that are separated by disks that provide a space between the vertebrae to allow movement of the spine. As a person ages, the disks naturally begin to lose fluid and the space between each vertebrae becomes smaller. 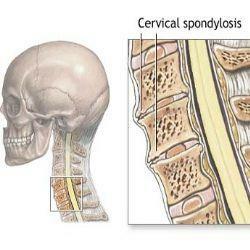 With cervical spondylosis, the process is much faster and severe, often times resulting in symptoms of numbness, stiffness, and pain. Weakness of the muscles and tingling can also be associated with cervical spondylosis since the degeneration of the spine makes the spaces in between the vertebrae smaller, causing an impingement of the nerves in the cervical area. 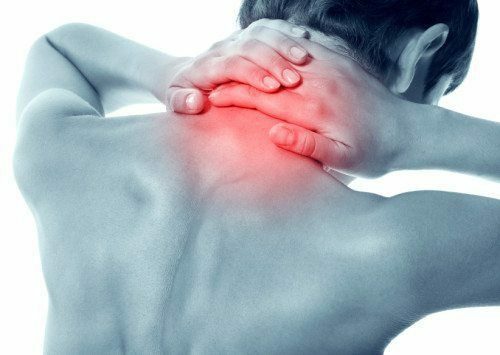 Although age is the most common cause for developing cervical spondylosis, the condition can also be a result of lack of exercise, being overweight, or due to an injury. Arthritis, herniated disks and bone spurs are other spine conditions that can be linked to cervical spondylosis as well. Finding relief for any condition that causes you pain is a priority for anyone and when your cervical spondylosis symptoms develop into chronic pain, it might be time to see your doctor. Chiropractic care and physical therapy will focus on aligning your spine naturally, releasing the compressed nerves and diminishing the pain. Home remedies such as applying heat and cold therapy and a diet made up of foods that treat inflammation are also good options for relieving your symptoms as you receive treatment. Aging is inevitable and so are the changes that your body goes through, but you can treat your cervical spondylosis and find relief.